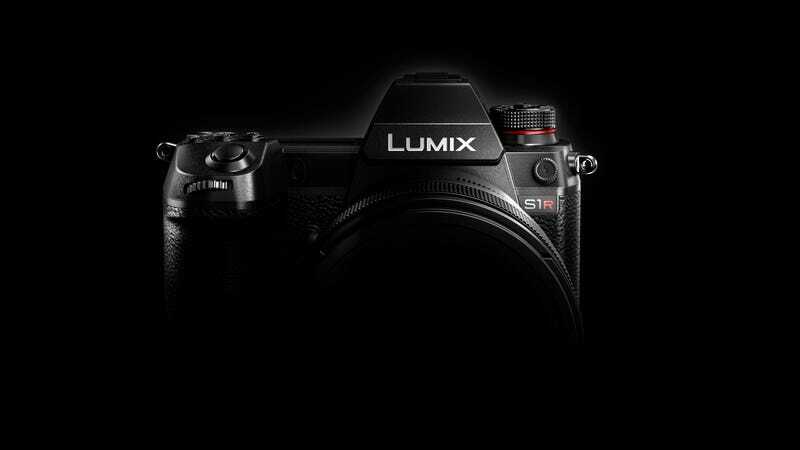 Unfortunately, as the shadowy image above implies, aside from providing a general megapixel count of 24-MP for the S1 and 47-MP for the S1R, Panasonic isn’t quite ready to spill all the beans about its two new full-frame cameras. So far, the main difference between the S1 and S1R is that the likely less-expensive S1 will be an all-around shooter balanced between both photo and video capture, while the S1R’s larger 47-MP sensor will be aimed more towards dedicated still photographers. In the mean time, ahead of a full reveal slated for sometime in early 2019, Panasonic has decided to throw out some pretty lofty promises for its new shooters. Not only will the cameras feature both in-body and in-lens image stabilization and a 3-axis rear display, Panasonic claims the S1 and S1R will be the first full-frame mirrorless cameras to support full 4K video capture at 60fps. But what’s potentially even more exciting is that Panasonic claims the S1 and S1R will have the most precise and highest-resolution electronic viewfinder (EVF) in the industry. And unlike the new Nikon Z7 and Z6, Panasonic isn’t shying away from calling these professional-grade cameras. As such, the new S1's include support for both dual XQD or SD card storage. Also, to help support creative pros, Panasonic is introducing its new Lumix Pro service starting in October to help troubleshoot and repair its high-end cameras in case anything goes wrong. With the jump up from Micro Four Thirds to full frame, Panasonic also announced a partnership with Leica and Sigma (called the L-Mount Alliance) to create interchangeable lenses that work across multiple camera brands and bodies. Furthermore, Panasonic has pledged to pump out 10 Lumix S lenses by 2020, including an f/1.4 50mm prime lens, a 24-105mm zoom, and a 70-200mm telephoto zoom. Based on the success of its existing mirrorless cameras like the GH5 and GH5s, you’d expect Panasonic to have the least amount of growing pains as it transitions to full-frame. However, the real key for Panasonic, Canon, and Nikon could end up being how quickly each company can add to its growing line of native lenses, and with Leica and Sigma already on board, Panasonic might have a slight advantage even though its won’t go on sale until next year.